Prescription drugs keep us healthy. 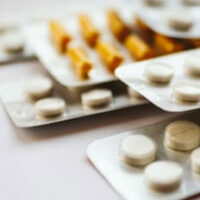 Drugs are an important part of cancer treatment, heart attack prevention, and pain management. In fact, about 70% of all Americans are on at least one prescription drug. About 50% take at least two drugs. Unfortunately, prescription drug errors can make people sick and lead to serious injuries, coma, or even death. If you or a loved one has been injured by prescription drugs, you might have a legal claim. Contact a Volusia County medical malpractice attorney right away. Because of these errors, a patient can remain sick or become even more ill. Since they do not know that it is the drugs that are making them sick, many continue to take them until the bottle runs out. When doctors prescribe the wrong drug, you can hold them liable in a medical malpractice lawsuit. Doctors have a duty to use care when treating patients, and prescribing a wrong drug often violates that duty. However, pharmacists also owe duties to patients, and any negligence on their part can have devastating consequences as well. The pharmacist should also be aware of any recalls or alerts from the Federal Drug Administration and not dispense drugs that have been recalled. Use the same pharmacy every time you fill a prescription. This assures that the pharmacist has all relevant information that she or he needs. Ask your doctor for the name of the drug prescribed as well as the dosage. Some doctors now phone in a prescription so you don’t have anything written down. Read all information that a pharmacist gives you. Ask the pharmacist or doctor if you have any questions. If you feel sick after taking your drugs, remember to hold onto the bottle. Also write down your complications or side effects and receive prompt medical treatment. Prescription drug errors will continue to occur, but that does not mean that you are powerless. At Bundza & Rodriguez, we represent patients injured through a doctor’s or pharmacist’s negligence. We can help you obtain compensation for your injuries, but you need to pick up the phone today and call 386-252-5170. Please avoid delay. We offer a free initial consultation to members of the public.